Colorful illustrations and spare prose make this story of friendship perfect for a board book edition to introduce simple color concepts to toddlers. 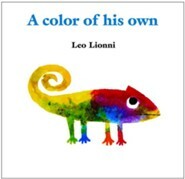 Leo Lionni wrote and illustrated more than 40 highly acclaimed children's books. He received the 1984 American Institute of Graphic Arts Gold Medal and was a four-time Caldecott Honor winner--for Inch by Inch, Frederick, Swimmy, and Alexander and the Wind-Up Mouse. 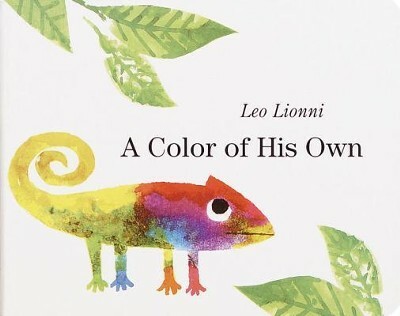 Leo Lionni died in October of 1999 at his home in Tuscany, Italy. I'm the author/artist and I want to review A Color of His Own.